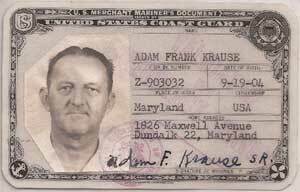 Captain Adam F. Krause Sr.
Captain Krause served for decades in The Port of Baltimore. He was well known for his expert docking pilot skills. Captain Krause worked right up to that day in 1969 when he collapsed while docking a coal ship. 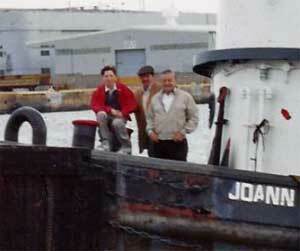 Captain Krause served docking and undocking vessels calling to The Port of Baltimore for many years. 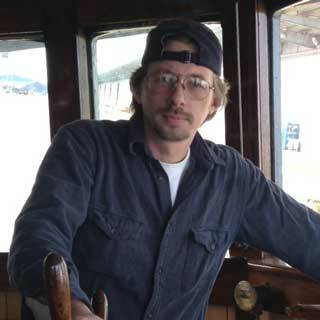 Many on the waterfront still remember him today for his superior docking pilot skills. 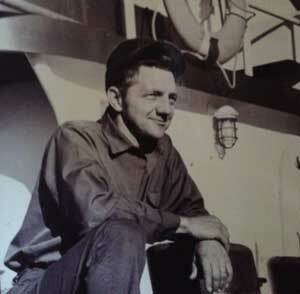 First Mate Joseph Krause Sr.
First Mate Krause had a 44 year career serving vessels in The Port of Baltimore. He was known for his kindness and generosity. He always had a kind word about everyone, even when some were less deserving than others. 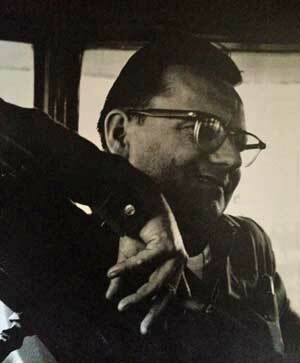 His nickname was "Saint Joe." Captain Joseph L. Krause Jr.
Captain Krause co-founded Krause Marine Towing Corp. in 1989. 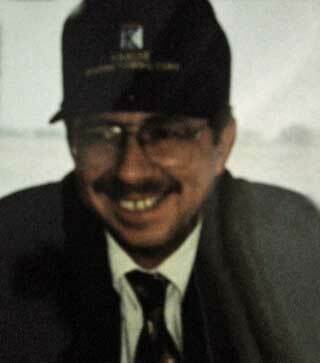 Captain Krause has had a career in the maritime industry (deckhand, mate, docking pilot and captain) since 1969. 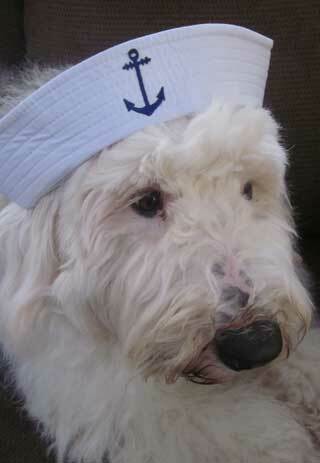 Captain Krause is well known in The Port of Baltimore for his expert docking pilot skills. JoAnn Krause is the President and co-founded Krause Marine Towing Corp. in 1989 with her husband Joe. She is the only woman to own and run a tugboat company on the east coast of the United States. As with any woman working in a male dominated business, JoAnn has to know more and be better than her male competitors, and she comes through with flying colors. She now runs and owns the company with her son, Captain David Krause. Captain David Krause has been in the family business since he was a young boy, working his way through the ranks. David became a USCG licensed tugboat captain at the young age of 21. In 2000, he became co-owner of Krause Marine Towing Corp. Captain Krause is known as one of the "best" captains in The Port of Baltimore. 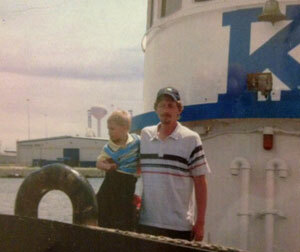 Joseph Krause has been with Krause Marine Towing Corp. since it was founded in 1989. Joe is an excellent "top of the line" engineer. 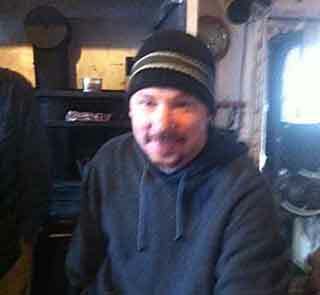 He has put in many years learning from Matthew Paruszewski, one of the best diesel engineers in the tug business. Joe's happy, positive attitude is infectious. When it comes to executive secretaries, Danielle is the best. 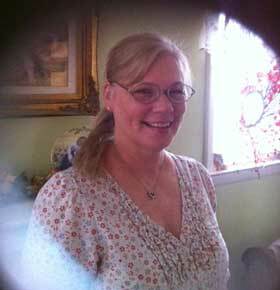 She has been with Krause Marine Towing Corp. since 1995. Danielle is President JoAnn Krause's right hand person to get the job done. 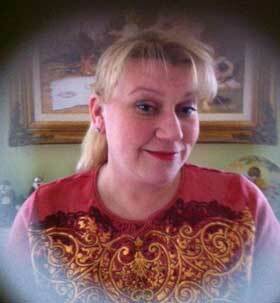 She is also the payroll manager and a true asset to the company. Austin is the youngest in the Krause family. He is the son of David and Danielle Krause and the grandson of Captain Joseph and President JoAnn Krause. Having a family tug business is not a job,...it's a lifestyle! 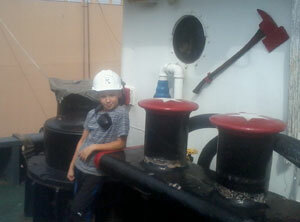 Therefore when you ask Austin what he wants to be when he grows up, he'll say, "A tugboat captain!" Yes, the seawater is in his blood. Austin is OUR NEXT GENERATION. Click here to learn more about Bella. © 2013, Krause Marine Towing Corp.